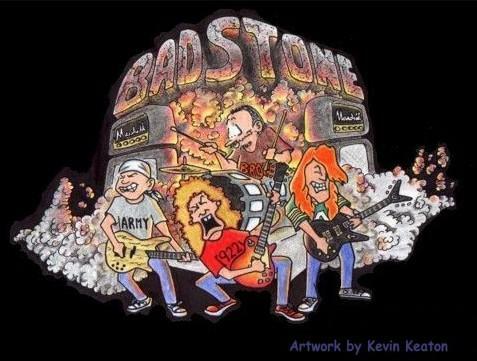 Badstone was formed in 1987 with original members: Tim Martini-vocals, guitars; Mike Fisher-drums; Steve Metzger-bass, vocals; & Gus Lambros-guitars, vocals. That lineup disbanded in 1989. In 1993 Badstone reformed and has been playing the regional rock scene ever since. Badstone has had some great musicians join the band over the years. The band would like to thank all of those former members for their contributions. Some former members include: Steve Metzger, Gus Lambros, Kelly Berkshire, John Ruefly, Mike Fisher, Jeff Kilpatrick, Mike Haney, Mike Salva, Kevin Keaton and Tim Burris. © 2017 Badstone. All Rights Reserved.